Quality Mid-century modern Danish teak dining table by Skovmand & Andersen for Moreddi, one of the finest Scandinavian producers of the era. This table bears the the maker’s mark and Danish Control stamp on the underside. There are two leaves that pull out from the ends transforming this from a six person to table, to 12 people in less than 30 seconds. 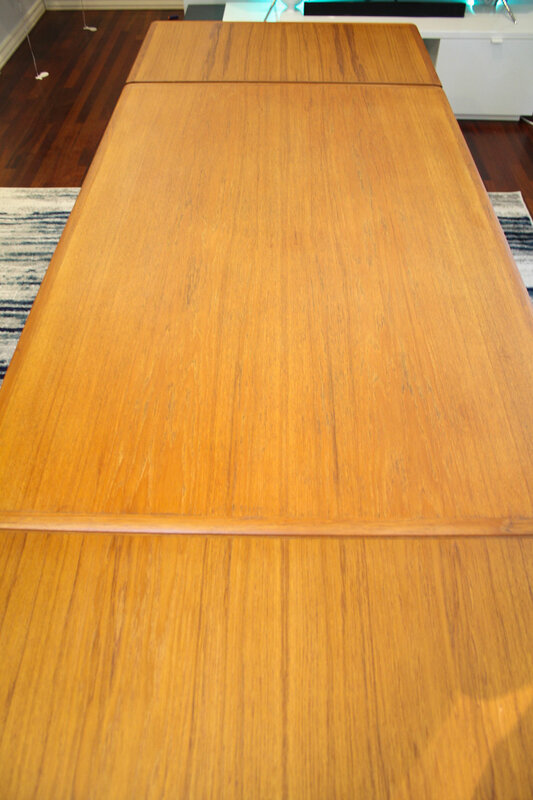 The table top has a beautiful warm hue and patina that only time and use can achieve. No significant cosmetic issues like breaks, chips, or huge dings. Very good vintage condition. Legs can be quickly removed for easy transportation.